Wheeler Upham has been providing effective, efficient legal counsel for over 130 years. Our attorneys have backgrounds and expertise in virtually every area of the law, enabling us to continue a strong tradition of providing our clients the advantages of a full-service law firm at a reasonable cost. Whether you need a nationally recognized trial attorney, want help with estate planning, or are ready to form a limited liability company for that start-up you've been dreaming about, contact Wheeler Upham today. We'll have the solution to your legal needs. Wheeler Upham provides the counsel, advice, and litigation support all employers need. Mr. Maximiuk practices principally in the areas of personal injury defense litigation and insurance coverage litigation. He is a frequent lecturer for the Institute of Continuing Legal Education on topics including trial and deposition skills, and he is also a member of the Institute's Litigation Advisory Board. He is the co-editor of and a contributing author to A Practical Guide to Depositions in Michigan (2nd Edition, 2002) and a contributing author to Michigan Insurance Law and Practice (ICLE, 2002). Mr. Maximiuk is a member of the American Board of Trial Advocates and is included in The Best Lawyers in America in the field of insurance coverage. Mr. Shade specializes in the formation and maintenance of small business entities (corporations and limited liability companies); sales and purchases of businesses; business succession planning; employee benefits, including pension and profit sharing plans, 401(k) plans, cafeteria plans, and health, life, and disability insurance plans; estate planning, including preparation of wills, trusts, durable powers of attorney, and patient advocate designations; probate of decedents' estates and administration of decedents' trusts; estate and gift tax; and real estate transactions, including sales and purchases of property and commercial leasing. Mr. Smith practices primarily in the areas of employment law, business and corporate law, real estate, construction law, federal government contracts, postal law, torts, and environmental law. He has extensive litigation experience in these areas and has appeared before federal district courts, courts of appeal, bankruptcy courts, boards of contract appeal, the Equal Employment Opportunity Commission, the Merit System Protection Board, and state courts and administrative agencies. 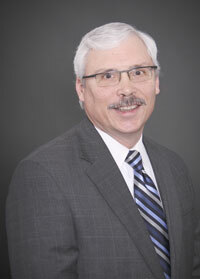 Mr. Smith is presently the Chairman of the Grand Rapids Bar Association's Labor and Employment Law Section. Mr. Smith has successfully assisted clients with document drafting, discrimination claims, disability and Family Medical Leave Act compliance issues, employee handbook questions, and contract disputes. Mr. Smith's litigation experience enables him to spot issues and propose solutions for his clients' problems, thereby saving them time and money by avoiding and addressing legal issues correctly. 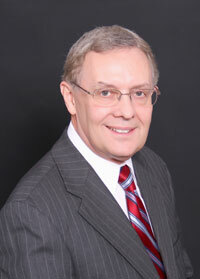 Prior to joining Wheeler Upham, Mr. Smith was in-house counsel with the U.S. Postal Service, where he handled some of its most complex litigation involving personal injury, construction claims, leasing issues, and contract disputes. 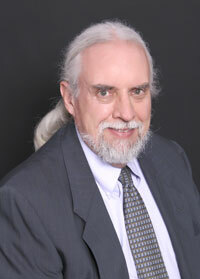 He has unique expertise in federal sector employment law and represents employees of federal agencies in many forums. Mr. Smith handles litigation against the federal government that other attorneys shy away from, including claims arising under the various civil rights laws, the Federal Torts Claim Act, the Freedom of Information Act, and the Contract Disputes Act. Mr. Smith has published articles in the Michigan Bar Journal on mail disputes and bankruptcy appeals. Mr. Tiews specializes in the law of trusts, estate planning and estate and gift taxation, probate, will and trust contests, guardianships, ecclesiastical law, foundations and nonprofit organizations, Medicaid and elder law, noncommercial real estate transactions, and civil litigation defense and appeals. He has taught courses in legal philosophy at Aquinas College and Calvin College in Grand Rapids and has participated as a co-lecturer in National Business Institute, Inc. seminars dealing with Michigan probate law. Mr. Tiews serves as attorney for the Presbytery of Lake Michigan of the Presbyterian Church (USA), and sits on the boards of a number of non-profit organizations. Mr. TerBeek advises clients in a wide variety of general business practice, including business formation, purchase and sale transactions, contract formation, employee issues, leases, and real estate purchases. He is also an experienced commercial litigator, handling all aspects of simple and complex litigation cases from the service of notice through trial and beyond. Additionally, Mr. TerBeek has an extensive estate planning practice, providing effective and efficient solutions for simple or complex situations. As a business lawyer, Mr. TerBeek serves as attorney and general business counselor to local, regional, and national companies. He assists clients with all aspects of business start-up, from the formation of an LLC or corporation, initial investment and financing, and drafting of a lease or real estate purchase agreement to the creation of standard terms and conditions, the negotiation of supplier contracts, and employment contracts. He routinely represents the interests of his clients before municipal bodies such as taxing authorities, planning commissions, zoning boards, and other local agencies. Further, Mr. TerBeek advises non-profit organizations, including guiding them through the application process for recognition by the IRS as public charities to obtain non-profit status. Mr. TerBeek also handles commercial and real estate litigation for businesses and individuals, including issues related to corporate governance, breach of contract, collection issues, easements and land rights, and transactional disputes. He has tried both jury and bench trials in Michigan district courts and circuit courts and has argued before the Michigan Court of Appeals. He works closely with clients to recognize their unique goals in litigation, identifying optimal strategies and crafting creative solutions to each dispute. Mr. TerBeek is committed to providing clients with comprehensive and affordable estate planning, including the preparation of wills, the creation of trusts, powers of attorney, medical powers of attorney, special needs trusts, and other documents. 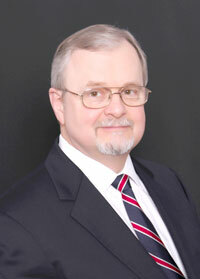 He works to make the estate planning process manageable and understandable for every client. Prior to entering the practice of law, Mr. TerBeek taught history and English for two years at Grand Rapids Central High School. He is an active member of Calvin Christian Reformed Church, having served at various times as Treasurer, Chair of Deacons, and a member of the Executive Committee, as well as teaching Sunday school and in the Neighbor's Night program. He has also been active in the Calvin College Alumni Association Grand Rapids Chapter, serving for two years as Chairman of the Calvin Spring Classic 5K race Committee. He is currently President of the Board of Trustees at AnchorPoint Christian School in Wyoming. Mr. Keenan practices in the areas of employment law, business law, wills, trusts & estate planning, civil litigation and criminal defense. He litigates and advocates on behalf of individuals and businesses in these areas in arbitrations, mediations, case evaluation panels, state courts and administrative agencies. Mr. Keenan has successfully assisted clients in federal civil rights discrimination claims, disability and Family Medical Leave Act compliance issues and Fair Labor Standards Act violations. Mr. Keenan works with federal and postal employees with their federal EEO claims, MSPB claims and Office of Federal Workers' Compensation (OWCP) claims under FECA. In the area of business law, Mr. Keenan assists individuals and employers with severance agreements, noncompete clauses, operating agreements, LLC and corporate formation and start up issues, and unemployment claims. He works with businesses and individuals to resolve collection issues using every available option up to and including litigation when absolutely necessary. Mr. Keenan's 13 years of manufacturing management experience in West Michigan, combined with his litigation experience, has given him a unique perspective to help find solutions for his clients' problems. As an estate planner, Mr. Keenan meets with his clients to determine the proper plan to cover their needs. This includes preparing wills, trusts, power of attorney documents, patient advocate designations, appointment of agents, and petitioning the courts for guardianship of developmentally disabled individuals to help preserve their standard of living. As no two clients are the same, Mr. Keenan works with his clients to plan for their individual family needs and concerns versus taking a cookie-cutter approach to estate planning. 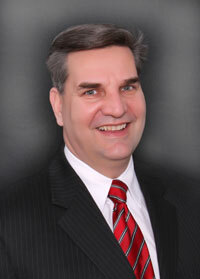 Part of Mr. Keenan's practice involves advocating for the rights of those clients accused of misdemeanor criminal offenses including Michigan license and driving violations, simple assault, retail fraud, and driving under the influence. In addition, he has successfully worked with the officers of the Family Division courts of Kent and Ottawa Counties to protect the rights and reputations of clients who are juveniles. 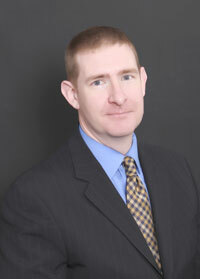 Mr. Keenan has successfully worked with clients to expunge criminal records in several West Michigan counties. Mr. Keenan is a member of the Christian Legal Society and has negotiated a publishing contract for a local Christian author's first book. He and his family love camping and a variety of outdoor activities. They are avid supporters of the Grand Rapids Ballet, Opera, Symphony, and Civic Theatre. 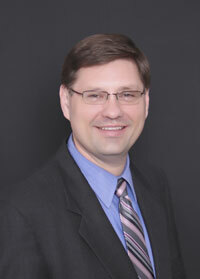 Mr. Keenan serves as general counsel for Jenison Bible Church, where he is an active member. Ms. Sullivan's primary area of specialty is family law, including divorce, custody, parenting time, child support, spousal support, paternity, and the enforcement and modification of existing judgments. A free initial consultation is available for a new divorce matter. Ms. Sullivan has handled uncontested divorces as well as more complex divorce-related matters involving business appraisals and expert witness testimony. 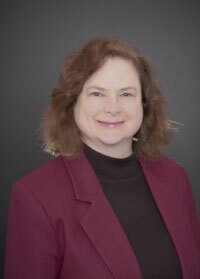 She also has over twenty-five years' experience in civil litigation and personal injury law.